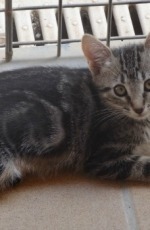 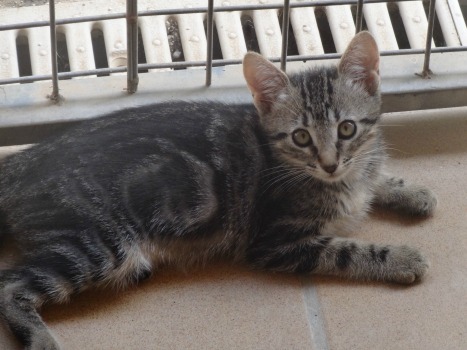 He is a beautiful female tabby kitten of about 12 weeks old. 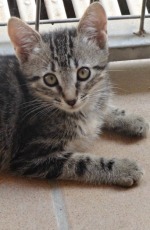 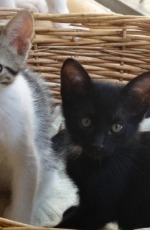 Her brothers Beau and Marcello are also available for adoption. 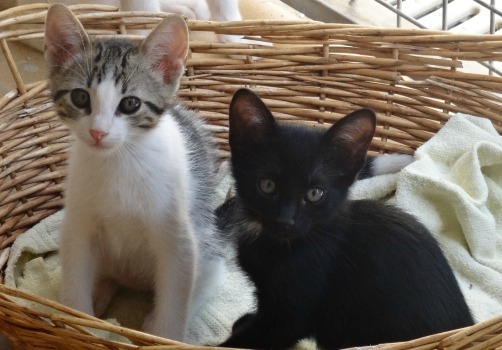 We found them at 6 weeks and brought them to the shelter.